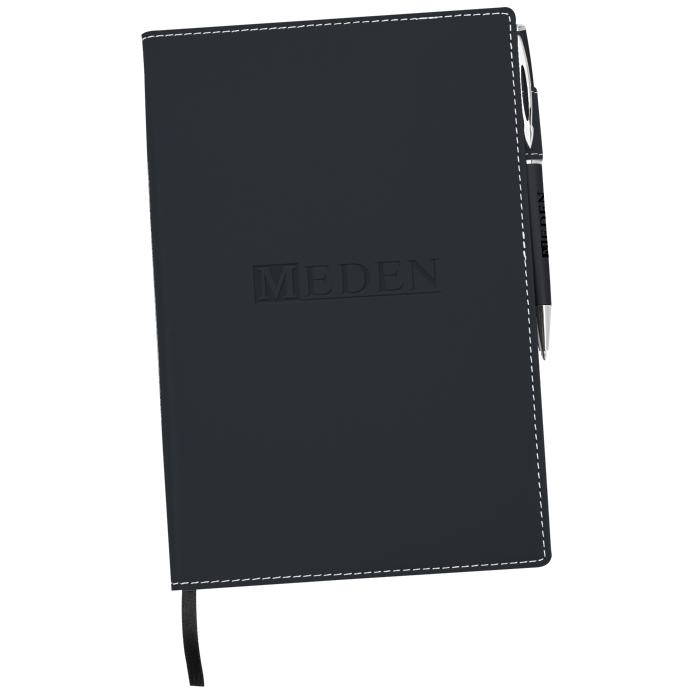 Promote your business again and again with a refillable journal! Imprint your logo on the soft, removable vinyl cover. 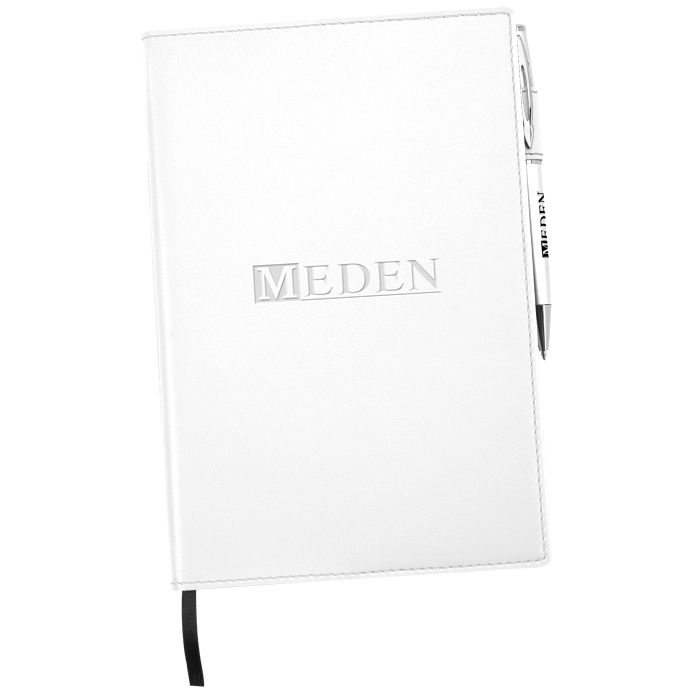 This journal is filled with 160 ivory lined pages just waiting to be filled. When the last page is reached, simply remove and refill with clean paper. A ballpoint pen comes included in the attached pen loop so you’ll always be ready to write. The pen includes medium point blue writing ink. Size: 8-1/4" x 5-3/4" x 3/8". Your price includes a debossed imprint on the front cover of the notebook and a one-color screened imprint on the barrel of the pen.